The Dayton Art Institute starts to exhibit Yousuf Karsh's "American Portraits" this weekend. Thursday ushered in the first official day of summer, and as if on cue, the Tri-State has plenty to do this weekend to help you kick off the season. Welcome to the WVXU "Do" list, a roundup of arts-focused events we think fans of public radio might enjoy. Want more? Check out "Around Cincinnati" host Lee Hay's "Music Notes" column for the week. Ault Park (5090 Observatory Circle) hosts its free June Summer Music Festival from 6-10 p.m., featuring live music by Gen X and food and drink available for purchase by Eli's BBQ and Hungry Bros. Meanwhile in Oxford's Uptown Park (West High Street at Main Street), the Butler Philharmonic plays the town's free concert series starting at 7 p.m. 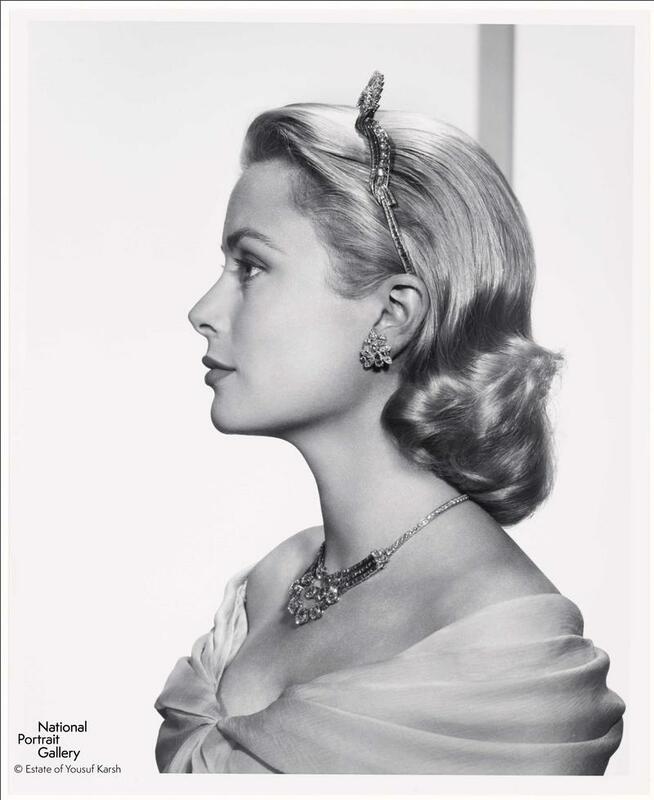 The Dayton Art Institute (456 Belmonte Park North) offers a preview of the upcoming exhibition "American Portraits" by the artist Yousuf Karsh, featuring 48 black-and-white photogrpahs from D.C.'s National Portrait Gallery of likes of Grace Kelly (pictured, above), Joan Crawford, Albert Einstein and more. The exhibit officially opens Saturday and runs through September 16. Suggested admission is $8 for adults. It's opening night of the No Response Festival at the Woodward Theater (1404 Main Street), and Kim Gordon (yep, that Kim Gordon) and Bill Nace of Body/Head are headlining. The show starts at 8 p.m. Advance tickets are $25; $30 at the door. The multicultural event VIBE Cincinnati comes to Fountain Square, featuring a marketplace full of food, retail and art, as well as performances by DJ Stank, DJ Butch Gibson, Yolo Band, and the Grammy-nominated singer Carl Thomas. It all kicks off at 11:30 a.m. with performances taking place throughout the day. More events happen throughout the weekend. The Aronoff 's Weston Art Gallery (650 Walnut Street) opens two new exhibitions: "Work/Surface," a series of new large-scale murals by Matt Lynch and Curtis Goldstein; and "Winold Reiss: Studies for the Union Terminal Worker Murals," which were created for Union Terminal's opening in 1993. Admission is free. Washington Platform (1000 Elm Street) welcomes vocalist, jazz and world percussionist Eugene Goss, who plays with Pat Kelly on Piano, Melvin Broach on drums and Tony Whack on bass starting at 9 p.m.
Riverbend (6295 Kellogg Avenue) hosts the Outlaw Music Festival featuring Willie Nelson, Sturgill Simpson, The Head and the Heart, Old Crow Medicine Show and more playing country, folk, and the blues. The event also features food, drink and crafts by local artisans. General admission is $30. Ricky Nye plays the Kate's Living Room Concert series at the Baker Hunt Art & Cultural Center (620 Greenup Street, Covington, KY) starting at 7 p.m. Tickets are $20 in advance; $25 at the door. The Cincinnati Pride parade takes over Downtown streets starting at 11 a.m., and the festival takes over Sawyer Point (705 E. Pete Rose Way) beginning at noon. Food, drinks, vendors and entertainment like Cozwell, Kim Petras and Super Fruit headline the event. Miami Whitewater Park (9001 Mt Hope Road, Harrison) welcomes the Cincinnati Pops for a free outdoor concert starting at 8:15 p.m. The event takes place rain or shine. Meanwhile, Miami Valley Gaming (6000 SR 63, Lebanon) holds its Rhythm & Brews Festival starting at 4 p.m. This free event features more than 100 beers, plus food trucks (both for purchase) and live music by The Summit, Tinsley Ellis, and Lil' Ed and the Blues Imperials. Miami University will showcase the power and grace of the nation's top 75 synchronized swim teams during the U.S. Junior Olympic Synchronized Swimming Championship at the university's Corwin M. Nixon Aquatic Center (750 S. Oak Street, Oxford). Tickets start at $10 for you to go and root for the home team as the Cincinnati Synchrogators vie for their third consecutive championship. Starting at 3 p.m., the second annual Symmes Food Truck Rally takes place at the Meadows at Symmes Park (11600 N. Lebanon Road, Loveland) featuring over 20 food trucks, entertainment and a children's area. Middletown welcomes Joe Mullins & The Radio Ramblers, who bring their brand of bluegrass to the Sorg Opera House (63 South Main Street, Middletown) starting at 8 p.m. Tickets are $20 in advance; $25 at the door. The Fitton Center for Creative Arts (101 S. Monument Avenue, Hamilton) screens the 1965 film "The Sound of Music" at 2 p.m. The matinee event will include concessions; tickets to the all-ages event are $5. The Cleveland-founded Avant-Garde Art & Craft Show returns to Loveland this year at the Oasis Golf Club & Conference Center (902 Loveland-Miamiville Road, Loveland). Admission is $3 (children under 12 are free) and features handiwork like rustic decor, handmade apparel, bath and body products, jewelry and more. A portion of proceeds from the show will benefit Sweet Cheeks Diaper Bank, which helps get diapers to local families and children in need. Shakespeare in the Park brings a free performance of "A Midsummer Night's Dream" to Eden Park (950 Eden Park Drive) starting at 7 p.m.
Over in Washington Park, the Cincy Chamber Orchestra brings a free performance of "Chamber Rock" to OTR beginning at 7:30 p.m., featuring a fusion of pop, rock and classical music performed by a mixed string and woodwind ensemble.